Saskatoon, SK – The Saskatoon Blades and Saskatoon Media Group are pleased to announce a 4-year contract extension as the official Saskatoon Blades radio broadcast rights holders. The new partnership will see Blades broadcasts transition from 92.9 The BULL FM to 98 COOL FM. Saskatoon Media Group is the parent company of both stations, meaning long-time voice of the Blades, Les Lazaruk, will remain on as the team’s play-by-play announcer. 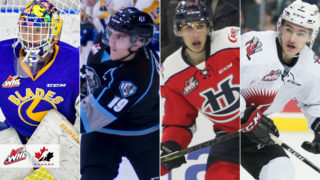 “As we enter our 25th season broadcasting home and away games for the Saskatoon Blades, Saskatoon Media Group is pleased to announce that the new radio home of the hockey team starting in September will be 98COOL FM,” explained Saskatoon Media Group’s General Manager, Vic Dubois. “The games have been broadcast on 92.9 The BULL FM for many years but we know that Blades fans will follow the team as they move up the dial. 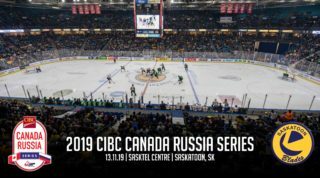 The voice of the Blades, play-by-play announcer Les Lazaruk, will continue to be the familiar voice we hear on every game from SaskTel Centre and locations around the league. 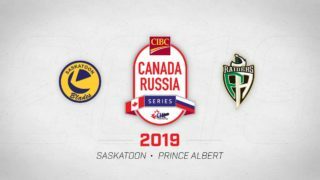 We look forward to an exciting 2018-2019 season as the host broadcaster for Saskatoon’s Major Junior franchise”. Les Lazaruk will be entering his 25th season as the voice of the Blades, opening the season in Swift Current on September 21st by calling his 1800th career game. 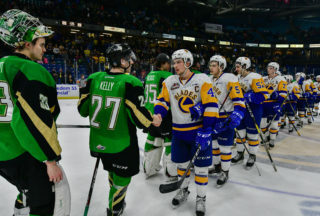 The excitement is mutual as Saskatoon Blades President Steve Hogle chimed in on the new deal which also features several other changes. Beginning this season, Les Lazaruk will host a live 1-hour pre-game show from the concourse at SaskTel Centre prior to home games. Fans will also get a chance to hear from the players and staff every Thursday morning on 98COOL FM. The first broadcast on the new station is set for Friday, September 21st at 7:00pm from Swift Current with the pre-game show on 98COOL FM beginning at 6:30pm. 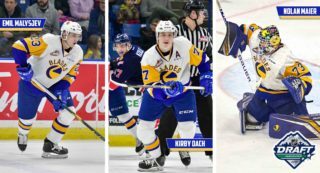 The Blades will then return to SaskTel Centre for the 2018 home opener against the Broncos the following night on Saturday, September 22nd.